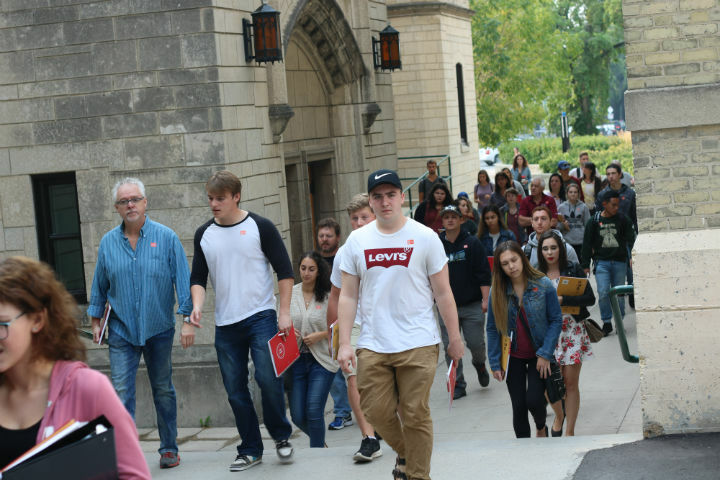 The University of Winnipeg reports that the number of Indigenous students choosing to study in its graduate programs have almost doubled. The incoming Indigenous students now constitute 13 per cent of the student body (up from 12 per cent last year). This puts the university amongst the highest participation rates for First Nations, Métis and Inuit students in Canada. For fall 2017, UWinnipeg has a total of 9,359 students as compared to 9,288 in fall 2016. This is driven primarily by an increase in the graduate student population which has increased to 252 students this year, compared to 231 last year. The biggest upward trend is the increase in self-identified Indigenous graduate students, at 7.5 per cent this year compared to 3.5 per cent last year.